A perfect party is not complete without some good music. But it is also one of the things you can easily miss and forget to prepare. The last thing you would want is to just play some random tunes. Just like the background music in your favourite movie scene, the songs you play are an important part of your party. Here are some of the reasons why music is a must in ALL parties. It can give life and meaning to a party. One of the few things that sets a party apart from a group meeting is the presence of music. No one wants their party to be lifeless and boring. It kills the part mood when all you hear are people chattering or laughing. What you want to see, and hear, is people getting on their feet and having a good time. And music is one of the most important prerequisites for dancing. No matter how late at night it gets, the music will keep everyone going. It gives the audience a feel of the moment. Think about how just one song can trigger certain emotions? The same thing goes when you choose the right playlist. It is not only about the beat and the instruments. The songs you choose to play can influence the way your guests feel. Slow songs can give a more intimate feel while upbeat music is more hype and energetic. Good music must be able to match the theme of your party. It does not have to be well known songs which your guests will be familiar with. It can be as simple as matching country music to a country style party, or some galactic background music for your out-of-this-world party. It is all about the moment you want them to remember. After all, no one takes note of the songs they sang or danced to at a certain party a while back. It can help you connect with your guests. One good way to make your guests feel welcome and a part of the occasion is showing that you know their tastes. Each person has their own music preferences. 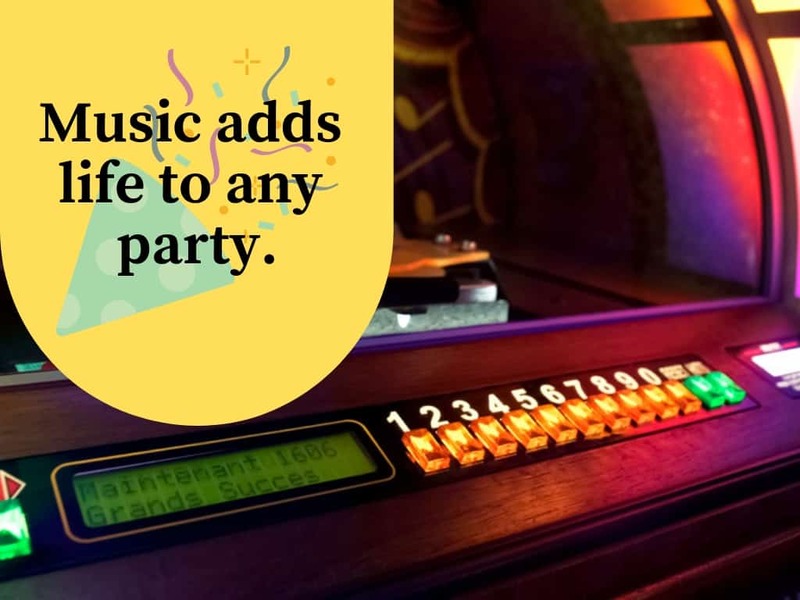 If you have made your playlist right, you can get the taste of everyone in your guest list and create a good mix of all their most wanted songs. This is why it is also important to know your guests. You can do this in many ways. For one, you can choose the music of their generation, or pick a genre which matches their sense of style or personality. This can make a strong connection with the people you invited to your party, and give everyone a memorable and meaningful time. It can help your guests ease in to the party. Hearing a song which you are familiar with can definitely make you more comfortable and at home. It can take away the awkwardness or shyness which your guests may feel at first. A well-prepared playlist can warm up your guests and get them on the floor throughout the night. Well-chosen music can keep your guests dancing or singing along all night. That is why it is important to get a good sound and entertainment system. You can rent a digital jukebox which can also be used as a karaoke if your guests want to sing their hearts out. 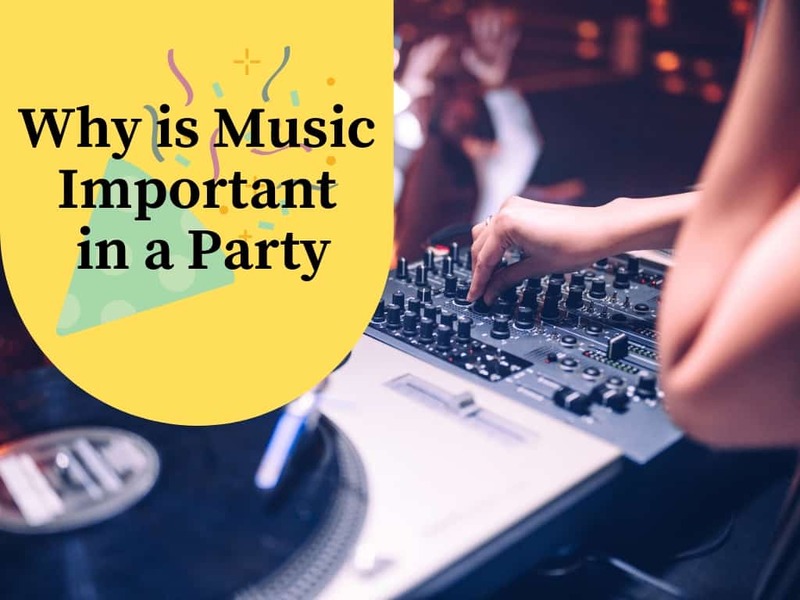 Even if you do not prepare any games or fun activities, your party will still be a success if you’ve got good music. No one will be just sitting around if the playlist of your party can get the guests on their feet or get them singing along. Good music is just a part of the perfect party you have always dreamed about. Make sure you’ve got everything perfectly planned, Contact Damien’s Party Entertainment for a fun and memorable bucks night or hens party that everyone will surely enjoy.